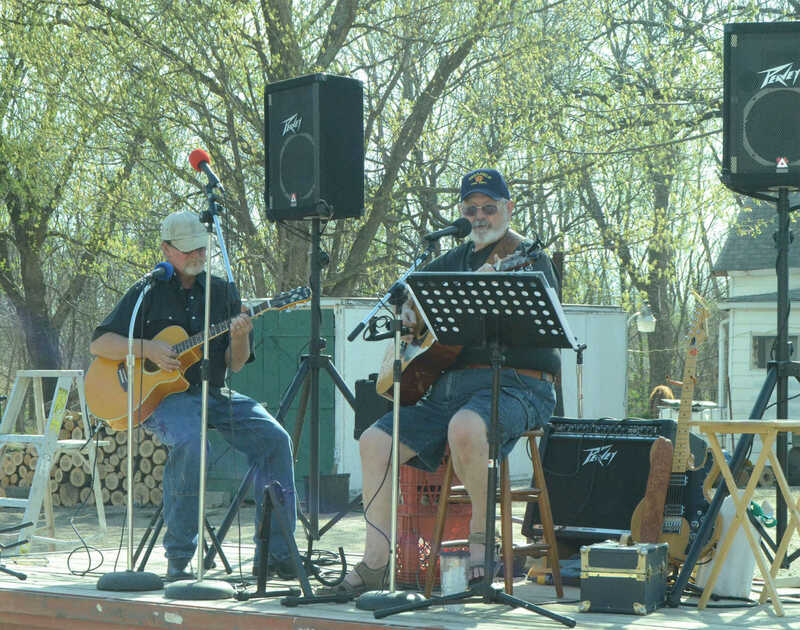 David Prickett, right, and John Goodwin perform during the Deerfield Hog Roast on Saturday. 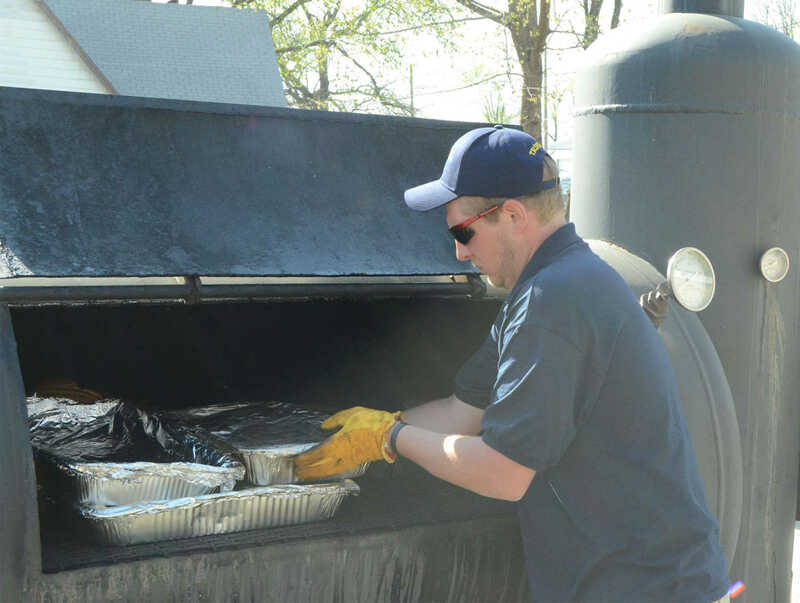 Kaleb Triplett slides the meat into the smoker at the Deerfield Hog Roast on Saturday. 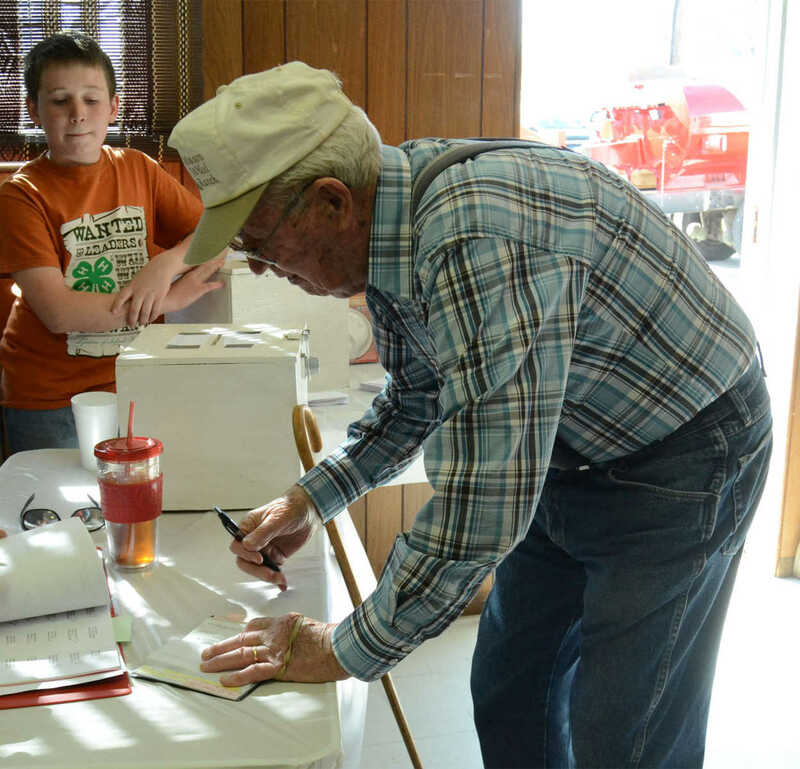 Earl Rogers makes a donation at the Deerfield Hog Roast on Saturday. 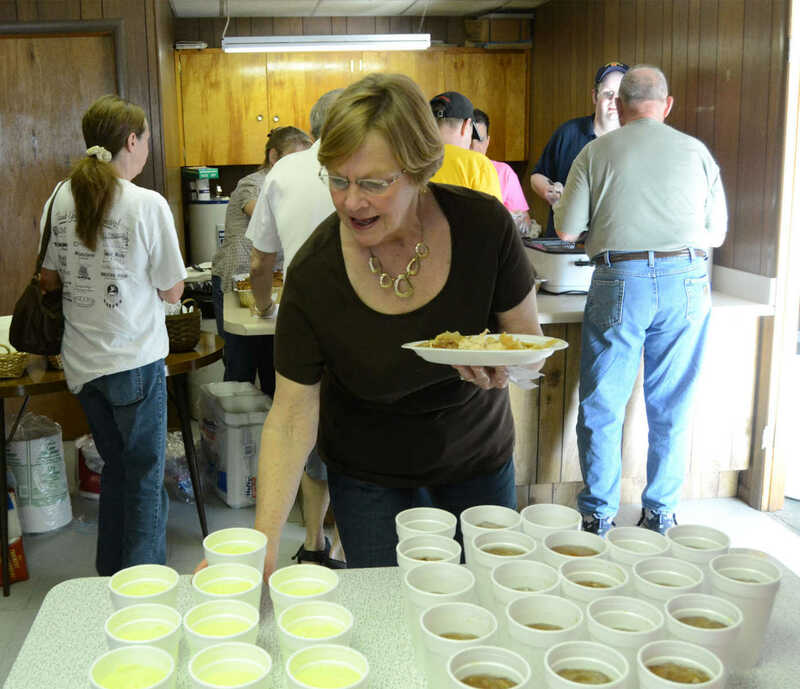 Harva Miller grabs a drink at the Deerfield Hog Roast on Saturday. 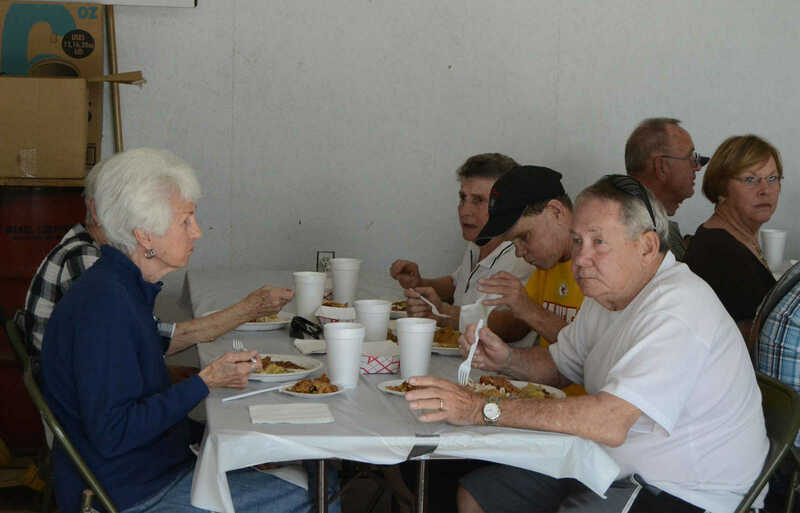 Residents of Deerfield gather to eat at the Deerfield Hog Roast on Saturday.